A tequila revolution is taking place, with more and more people learning to appreciate the rich culture, craft and flavor to be found in this unique spirit. The Tequila Dictionary is the drinker's guide to this wonderful world. With hundreds of entries on tequila and agave spirits covering everything from history, culture and ingredients to distilling techniques, cocktails and the many varieties of the drink, spirits expert Eric Zandona explores the truth behind this truly captivating drink. Bourbon is booming, and this guide will teach you all you need to know about America's favorite spirit. Eric Zandona - spirits specialist at the American Distilling Institute - explores 140 of the finest bourbons in the world, from the big-name classics to tiny craft distilleries, with flavor profiles and recommendations for the best way to drink each one. 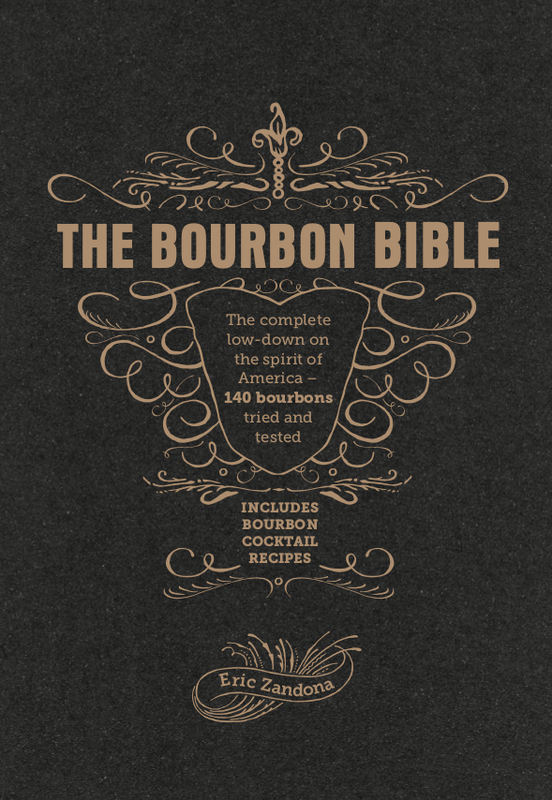 Also featuring recipes for 20 classic bourbon cocktails, as well as chapters on the history of bourbon, how the drink is made and the key things you need to understand when buying a bottle, The Bourbon Bible is the ultimate guide to the ultimate drink. Forgotten Spirits and Long Lost Liqueurs explores the obscure and vanished ingredients of drink recipes from the golden era of cocktails. The author examines the history and resurgence of spirits, bitters, and liqueurs like Old Tom Gin, Abbott's Bitters, and Crème Yvette. Forgotten Spirits includes a number of exceptionally obscure spirits like Crème de Geniève, Coconut Whisqueur and Asparagus Gin. In addition, the book contains dozens of cocktail recipes featuring these long lost liqueurs and recipes for the hard-to-find ingredients that you can bring back from oblivion. This book is inspired by the recent popularity of rum among cocktail circles, and by the advent of so many new rum craft distilleries in North America. Included is: the story of rum and how it is made, the ingredients, equipment, and processes used to make rum; the lubricious effects of barrel aging, and the various ways that it is done. And, a step-by-step description on how to make a 155-gallon batch of rum mash and how to distill and age it-including a recipe. This book explores the history of Gin production from its crude origins in medieval Europe to the finely honed spirits of twenty-first century craft distillers. The book describes how gin is made, the primary botanicals used in its production, tasting notes for fifty craft gins from around the world, and five interviews of leading craft gin distillers. The book is rounded out with two chapters dedicated to timeless gin cocktails, their background, how they are made and the best gins and ingredients that allows them to sing. "Judging of Craft Spirits," Distiller (Summer 2018): 40. "When in... Mexico," Gin Magazine, 5 March 2018. "2017 Distillery of the Year: Cedar Ridge Distillery Receives the Bubble Cap Award," Distiller (Summer 2017): 30-33. "American Distilling Institute's Judging of Craft Spirits: Striving to Promote and Grow the Industry," in Distiller (Winter 2016): 124-127. "Hawaiian Shochu Company: Blending Japanese Tradition with Aloha," in Distiller (Fall 2016): 64-71. "Kings County Distillery: 2016 Distillery of the Year," in Distiller (Summer 2016): 24-27. "State 38 Distilling: The House Built on Agave," in Distiller (Winter 2015): 106-111. "Distillery Tourism on the Rise: Big Benefits for Local Communities," in Distiller (Fall 2015): 27-27. "From Bark to Bourbon: The Wild Yeast of Firestone & Robertson Distilling Co." in Distiller (Summer 2015): 90-92. "Whiskey vs Whisky," in Distiller (Winter 2014): 82-88. David T. Smith, The Gin Dictionary: An A-Z of All Things Gin from Juniper Berries to the G & T. Distiller (Summer 2018): 215. Charles Neal, Calvados: The Spirit of Normandy. Distiller (Winter 2017/18): 175. David T. Smith, Gin Tonica: 40 Recipes for Spanish-Style Gin and Tonic Drinks. Distiller (Fall 2017): 151. Colin Spoelman and David Haskell, Dead Distillers: A History of the Upstarts and Outlaws Who Made American Spirits. Distiller (Fall 2016): 145. Mark Bitterman, Bitterman's Field Guide to Bitters and Amari: 500 Bitter, 50 Amari, 123 Recipes for Cocktails, Food & Homemade Bitters. Distiller (Fall 2016): 145. Edited by Capra Press, Distilled Stories: California Artisans Behind the Spirits. Distiller (Summer 2016): 151. Bettina Malle and Helge Schmickl, translated by Paul Lehmann, The Artisan’s Guide to Crafting Distilled Spirits: Small-Scale Production of Brandies, Schnapps & Liquors. Distiller (Summer 2016): 151. Paul Clark, The Cocktail Chronicles: Navigating the Cocktail Renaissance with Jigger, Shaker & Glass. Distiller (Winter 2015): 136. Aaron Knoll, Gin: The Art and Craft of the Artisan Revival. Distiller (Winter 2015): 136. Henry H. Work, Wood, Whiskey and Wine: A History of Barrels. Distiller (Winter 2015): 137. Michael Dietsch, Shurbs: An Old-Fashioned Drink for Modern Times. Distiller (Summer 2015): 137. Chantal Martineau, How the Gringos Stole Tequila: The Modern Age of Mexico's Most Traditional Spirit. Distiller (Summer 2015): 137. Darek Bell, Fire Water: Experimental Smoked Whiskeys. Distiller (Winter 2014): 136. Adam Rogers, Proof: The Science of Booze. Distiller (Winter 2014): 136. Colin Spoelman and David Haskell, The Kings County Distillery Guide to Urban Moonshining: How to Make and Drink Whiskey. Distiller (Fall 2014): 124. Clay Risen, American Whiskey, Bourbon & Rye: A Guide to the Nation's Favorite Spirit. Distiller (Fall 2014): 124. Brett Vanderkamp and Greg Smith, Art in Fermented Form: A Manifesto. Distiller (Fall 2013): 96. Bernie Lubbers, Bourbon Whiskey our Native Spirit. Distiller (Fall 2013): 97. "Whiskey vs Whisky: Controversy and Confusion"
"Whiskey vs Whisky: Use in Books"
"Whiskey vs Whisky: Dictionary Definitions"
"What does it mean to be Craft?"